In this recording, Delos adds to its critically acclaimed series of Brahms’s finest chamber works. The marvellous performances heard here come to you thanks to the artistry of violinist David Perry, pianist Paulina Zamora and cellist Uri Vardi. In their accomplished hands – and with Delos’s hallmark lush sonics – the music positively glows and soars. In a sense, all three of Johannes Brahms’s piano trios can be considered among his late-period chamber works. While the Trio No.1 in B major is a work from the composer’s early years (1854), he revised it extensively in 1890 – and it is this reworked version that we usually hear in concert and on record. The second and third trios date respectively from 1882 and 1886. 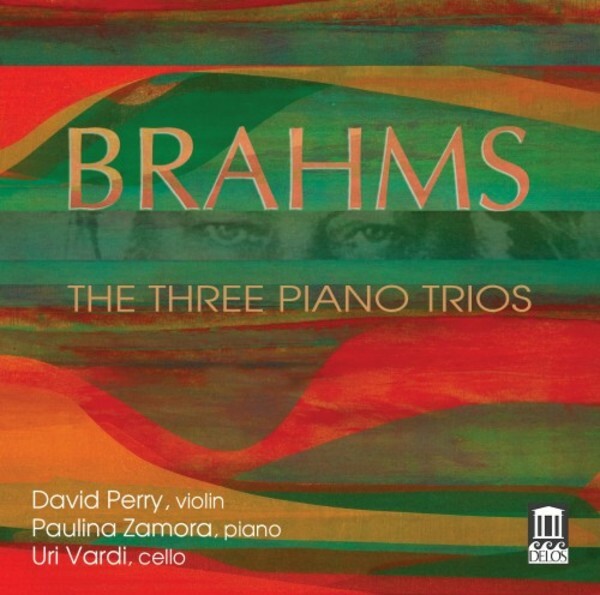 While Brahms’s revision of the first trio preserves something of the original version’s brash feel and youthful impetuosity, it brought the work a bit more in line with his other late chamber works – sharing their often autumnal moods, lyrical intensity and subtle structural complexities.